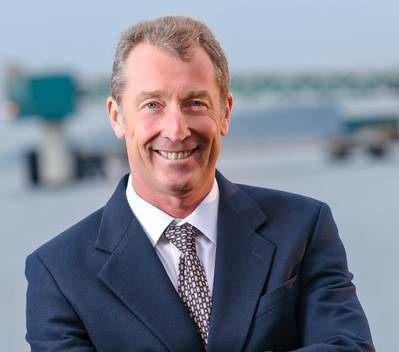 Gavin Higgins has been appointed Chief Executive Officer of Ice Floe LLC dba Nichols Brothers Boat Builders (NBBB), the company announced today. Effective immediately, Higgins replaces Matt Nichols, one of the company’s founders who has served as CEO of NBBB since February 2012, also serving as CEO for more than 35 years prior to the company’s sale in 2008. Nichols will remain with the company as its Executive Vice President, Sales and Marketing, and as a member of the board of directors. Higgins brings more than 30 years of industry experience to his new role, having previously served as Chief Operating Officer of NBBB since September 2012. Prior to NBBB, Higgins was with Irving Shipbuilding, Inc. as General Manager, Shelburne Ship Repair, Shelburne, Nova Scotia, Canada. Shelburne Ship Repair operates the largest marine railway in the Americas and services a variety of Canadian Naval, Canadian Coast Guard and commercial vessels. Higgins previously worked for Derecktor Shipyards in the Bridgeport, Connecticut and Mamaroneck, New York facilities, where he was involved in all aspects of shipbuilding and ship repair for both yachts and commercial vessels. Notable new construction projects included ferries for the Argentinean operator, Buquebus, the Woods Hole Steamship Authority and the Alaska Marine Highways. Additionally, recent projects included the largest yacht built in the United States and an LNG assist tug for the operator Reinauer. Higgins, a naval architect, graduated from Southampton College in Southampton, England in 1983, awarded the Chartered Engineers status in 1990 and became a Fellow of the Royal Institute of Naval Architects in 2000. In 2007, Higgins completed an M.B.A. from the University of Connecticut. Higgins has been a member of the Society of Naval Architects and Marine Engineers (SNAME) in the U.S. since 1983. The American Bureau of Shipping also named Higgins to its committee on small vessels.